CASE INFORMATION This was SJGR's second investigation of the Flander's Hotel, and the third time we were asked to investigate the building. Click here for our last investigation results, and here for a Flanders Hotel Condo investigation. Unlike previous investigations, and although one video clip was recorded, there was a below average amount of energy orb photos obtained, so this does not factor into the overall evidence. However, a high number of EVPs were recorded during the investigation and 4 anomalous EMF fluctuations were detected, which is significant. Neither anomalous motion sensor nor temperature readings were recorded. In the Gentlemen’s Speakeasy, one investigator saw the apparition of a male bartender behind the bar. Other investigators also picked up on this same strong male presence who seemed to be determined to keep order in the speakeasy and was not pleased with our presence. Additionally, two investigators reported feeling a sense of disorientation and loss of balance, which could possibly be related to a feeling of inebriation in the drinking established. In the Ladies’ Speakeasy, multiple investigators sensed the presence of a spirit identifying herself as a lesbian. Others reported a feeling of a drug or alcohol-induced euphoria and disorientation. 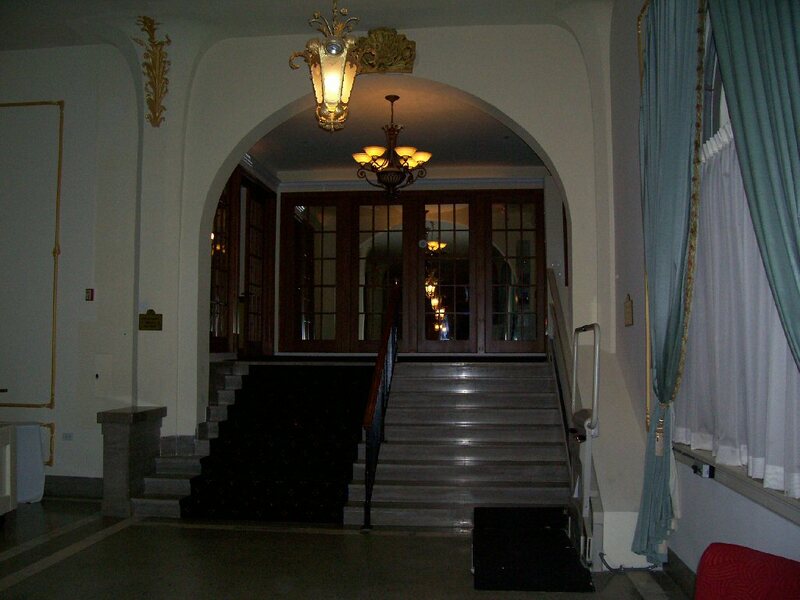 Psychic impressions of a blonde-haired young lady, a young girl, and a male spirit were obtained in this area. One investigator was touched on the back by unseen hands in this room. In the Bike Room, three investigators sensed a presence sitting in the chair in the small utility closet. One investigator was even touched on the head while sitting in that chair. 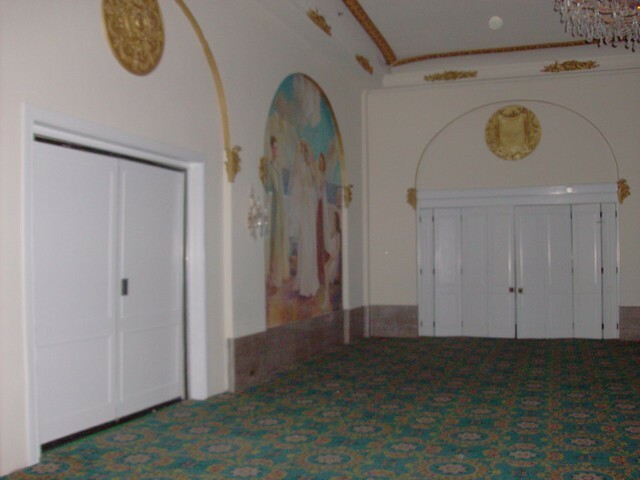 In the Ballroom, the spirit of the little girl was detected. It was sensed that she likes to visit this room during functions to watch people dance. This girl was also detected in the Hall of Mirrors. In the Board Room, multiple investigators noted the presence of a domineering male business man who was affiliated with the hotel in some way. Additionally, several investigators reported feeling an abundance of energy in the lounge area near Emily’s portraits. 7:27pm - Investigator M. Carroll took this photo in the Gentlemen's Speakeasy after discovering one of the ELF Zone EMF detectors is drained of battery power. 9:40pm - Investigator M. Carroll took this photo on the 2nd floor after feeling the little girl drawing her and Investigator Flatt to the mural of “In Flanders Fields” and then feeling like someone was watching them from the glass-enclosed office above the mural. 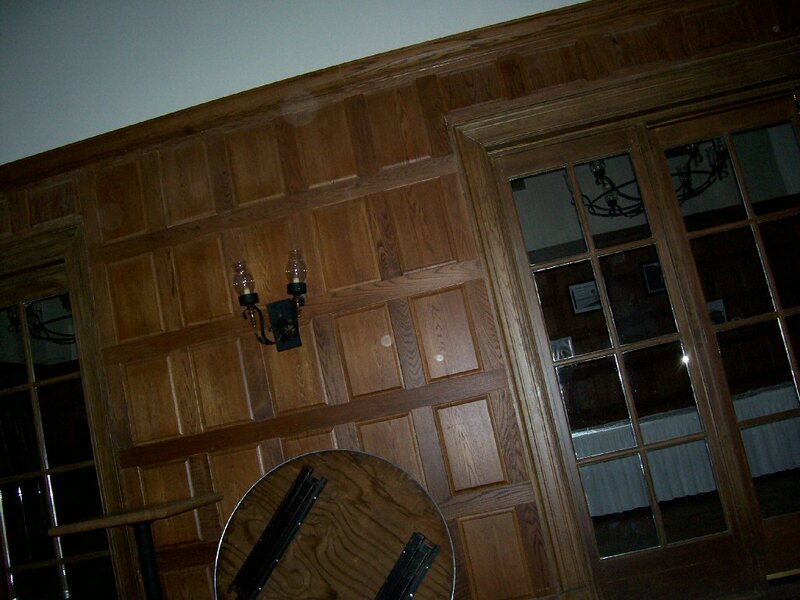 9:49pm - Investigator M. Carroll took this photo in the Board Room during an EVP attempt with Investigator Smith after sensing the presence of a strong, domineering male. The battery power was drained from the camera batteries immediately after the photo was taken.